A historical centre of the Central Slovakian region is the castle Old Zvolen, since the 19th century called the Deserted Castle. The oldest part of the castle complex is the Romanesque residential tower on the highest elevation of 571 metres above sea level. In the years 1172 – 1196 the Deserted Castle was an important administrative centre of the royal “komitat”, the territory almost identical with the whole present-day Central Slovakia. In the years 1241 – 1255 a big fortification - refugium was built. Since then the Castle with an area of 7.6 hectares was no longer expanded, all the buildings were implemented within this fortification. The Deserted Castle lost its importance in the middle of the 15th century. Its towers, palaces and bastions served only as a dwelling for the large troops of Ján Jiskra of Brandýs. At the time of conquering the castle by Ján Huňady the castle buildings were destroyed by fire and since then the Deserted Castle has been in ruins. The first systematic excavation work in the Deserted Castle was realized in the year 1886. Since 1992 the archaeological research has been systematically financed within a framework of the budget of the town of Zvolen. Gradually discovered and preserved castle ruins in the town forest park surroundings are a frequently visited place of relax and experience. This Gothic castle with the Renaissance fortification is situated on the mild hilltop at the southern part of the square. It was built by King Louis the Great of Anjou in the last third of the 14th century as a hunting residence according to Italian town castells. The castle had several owners. King Matthias Corvinus with his wife Beatrix liked to come here, it was also a residence of Ján Jiskra of Brandýs, and it was kept in Ján Thurzo´s possession as well. On the ground floor there are the most precious rooms with the stone rib vaulted ceiling lit up by narrow apertured windows. In its eastern wing there is situated originally Gothic two-storeyed chapel with beautiful portals. The first bigger reconstruction in 1491 – 1510 added the outside stony fortification to the castle. Since 1548 the Renaissance reconstruction of the castle has started. The castle was made one floor higher, corner oriel keeps were built to it, the third storey was equipped with shooting openings and completed by the attica. In the second half of the 18th century the castle experienced the second distinct reconstruction. During this Baroque reconstruction was created the coffered ceiling in the Royal Hall with the portraits of 78 Roman emperors. It had been the king’s possession till the middle of the 17th century. 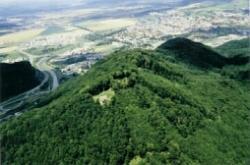 Nowadays Zvolen Castle is a national cultural heritage and it’s the seat of the Slovak National Gallery. 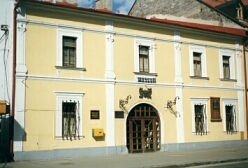 It is a dominant historical building of Námestie SNP (SNP Square). Its sacristy is the oldest construction in the square and it dates back to the end of the 13th century. At present within the second stage of the reconstruction of the square excavation work has been started and the findings document the existence of the Christian burial ground. Although the town of Zvolen has always been powerfully evangelical, the Protestants could not build their church right away. In 1783 they decided to buy the Bossani’s house in the square and in 1785 it was rebuilt in a modest house of God. In accordance with the applicable laws entrances to evangelical houses of prayer and churches were allowed to be only out of the yard, and thereafter the altar was originally built in the eastern street side. Until 1856 the Protestants had not have their tower and bells. In the 1850´s there was a great enthusiasm to build the tower. After long procrastination and difficulties the Protestants were allowed to build it. In the foundations of one of the columns there is a bricked in memorandum. 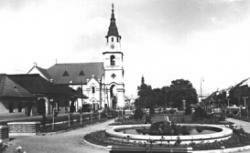 In the years 1922 – 1923 the Evangelical Church was rebuilt last time, then in the Neogothic style. It has had this appearance up to now. In the northern part of SNP Square there is a building of Finko curia (mansion house). This initially Renaissance one-storeyed yeoman curia was gradually rebuilt in the Baroque style. An interesting building in the town centre is also a former burgher’s house with Renaissance arches and the Baroque fireplace. Nowadays this building is a seat of the Forestry and Wood sciences and Technology Museum with the expositions of historical furniture, clocks, glass, porcelain, and folk costumes. In the centre of the town there are also other precious burghers´ houses from the Renaissance period. In the northern part of SNP Square there is a building of so-called Finko curia (mansion house). This originally Renaissance one-storey yeoman’s building was bit-by-bit modified into the Barocco style. An interesting building in the centre of the town is also the previous town house with Renaissance vaults and Barocco fireplace. Nowadays in this building there is the Forestry and Wood Sciences and Technology Museum with expositions of historic furniture, watches and clocks, glass, porcelain and folk costumes. 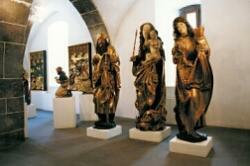 In the centre of the town there is more treasured burghers´ houses from the Renaissance period. In the village founded in the second half of the 13th century is preserved initially early Gothic St Matthew Apostle Church, having been reconstructed in the following centuries. The church nave and presbytery are decorated by the Gothic murals dated from the 14th century. Due to the preserved medieval murals the Church in Zolná belongs to precious cultural heritage. The oldest mention about the village dates back to the year 1263. There is partially retained folklore, folk architecture, making the musical instrument called “fujara” as well as embroideries. In the church dating from the 14th century there are precious frescos and the altar by Master Paul of Levoča. In the village was born the polymath Matej Bell (1864 – 1749). You can experience an adventure in the airport of the Aero club Očová from where you can take off for observation flights over the close surroundings. A dominant historical place of the village are the ruins of the castle built in the last decade of the 14th century following the example of the nearby Zvolen Castle. The original ground plan disposition - three residential wings around the oblong castle courtyard – was changed in the 16th century by building a fortification with four corner bastions up to it. The castle was exploited last time in the interwar period.